This week we are heading down to the waterfront to take a look at sailing, one of Camp Woodland’s “anchor” programs. Sailing is offered five periods every day, with 2 back-to-back hours of sail race for the more advanced girls. Sailing is an experience where campers learn valuable problem solving and creative thinking techniques along with life skills for the future. We offer basic through advanced levels of sailing, focusing on the fundamentals while having a great time on the water. Water Safety: Before we start sailing at camp, we teach important water safety tips like how to properly wear and secure a life jacket, what to do to maintain control of the sailboat, and how to remain calm when we encounter challenges on the water. Learning about various cloud formations and weather patterns is another added benefit to learning how to sail! Rigging the Boat: Campers also learn about all the different wires, ropes and lines that support the rig and control the sails. We teach them how to get the boat ready to sail and how to control the boat while you’re sailing. 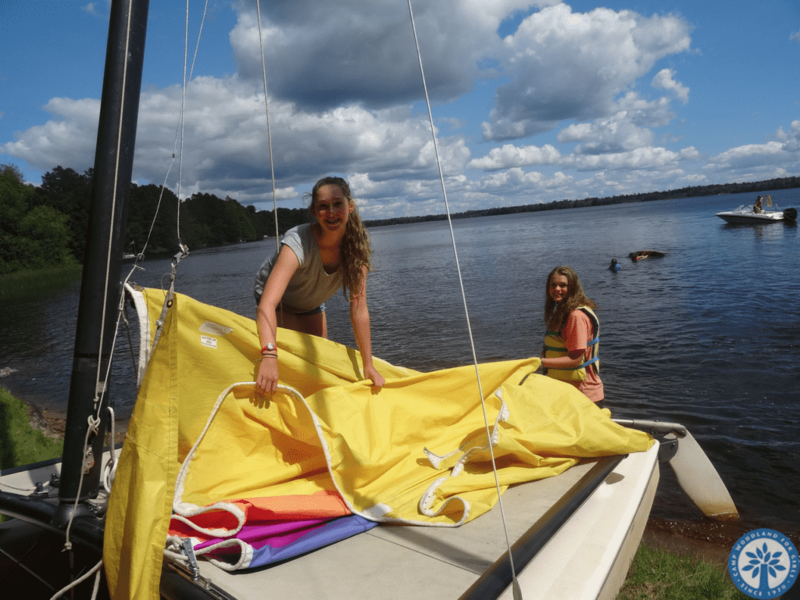 Understanding how the sailboat works helps campers be more confident and makes sailing more fun. The Woodland fleet consists of X-boats, Sunfish, Hobies, and windsurfers. 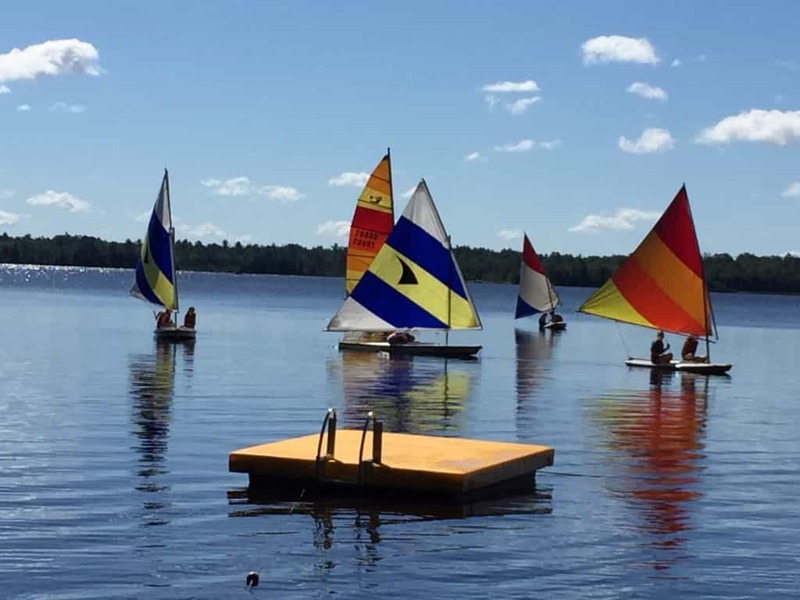 Over the course of the summer, campers have the opportunity to try their hand at sailing the various classes of boats. Finding the Wind: Some sailboats have special instruments that help measure the wind speed and find the direction of the wind, but there are other ways to know where the wind is going and how strong it is. Campers learn to be creative when finding the wind by watching for waves and paying attention to which way the telltale (piece of string attached to the sail) moves when a breeze comes. 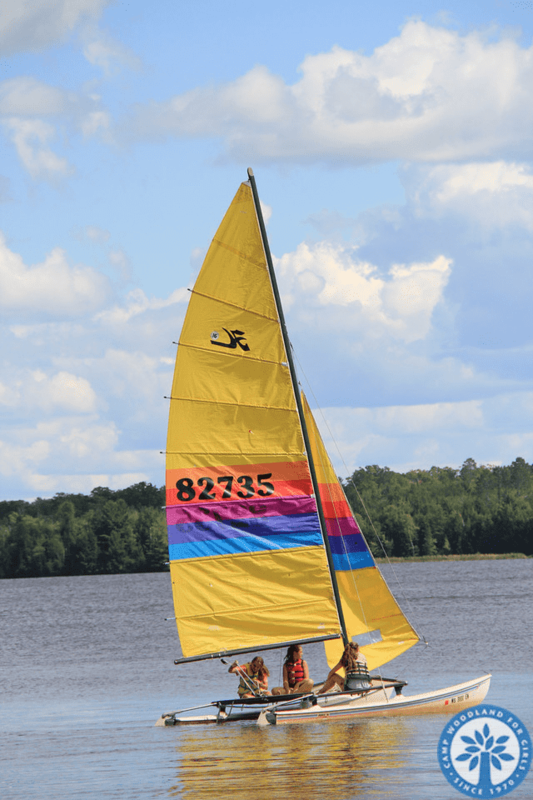 We call upon Zulu, Woodland’s very own wind god, to give us many good sailing days on Sand Lake! 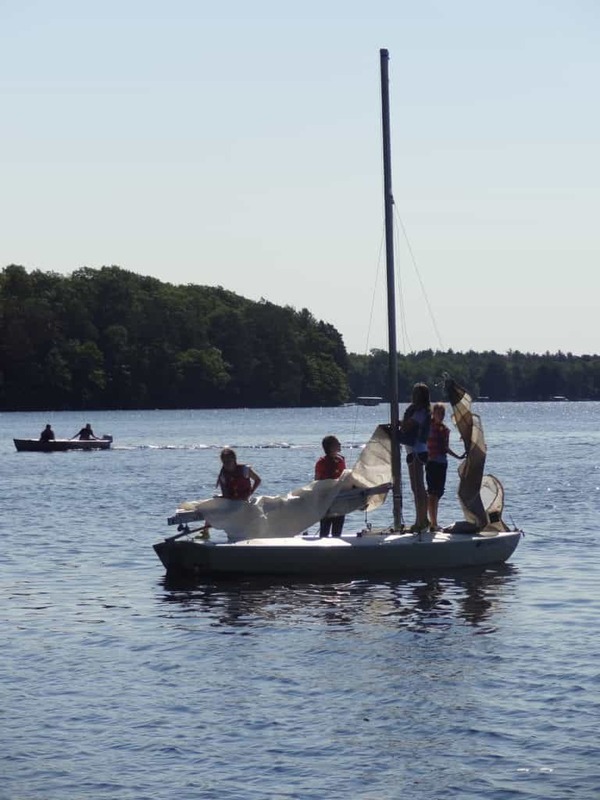 Basic Boat Handling: Campers gain practice steering and maneuvering the boat when sailing. This means learning how to turn, speed up, slow down the boat, and avoid obstacles in the water. Having a sense of direction and spatial awareness through sailing experience will be beneficial down the road, especially when learning how to drive. 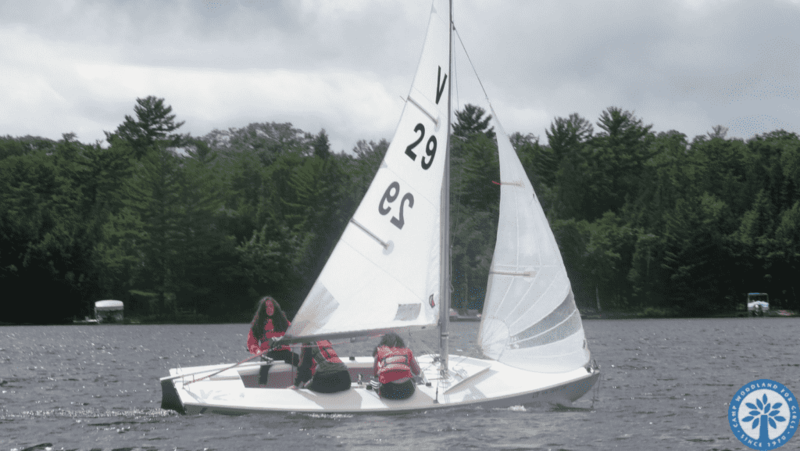 Woodland’s extremely competent sailing instructors take the helm at the beginning of the summer, and soon after, campers take command of their boat and crew. What a great confidence booster! De-rigging and Boat Care: It is just as important to know how to take down the rigging when you are done having fun on the water. 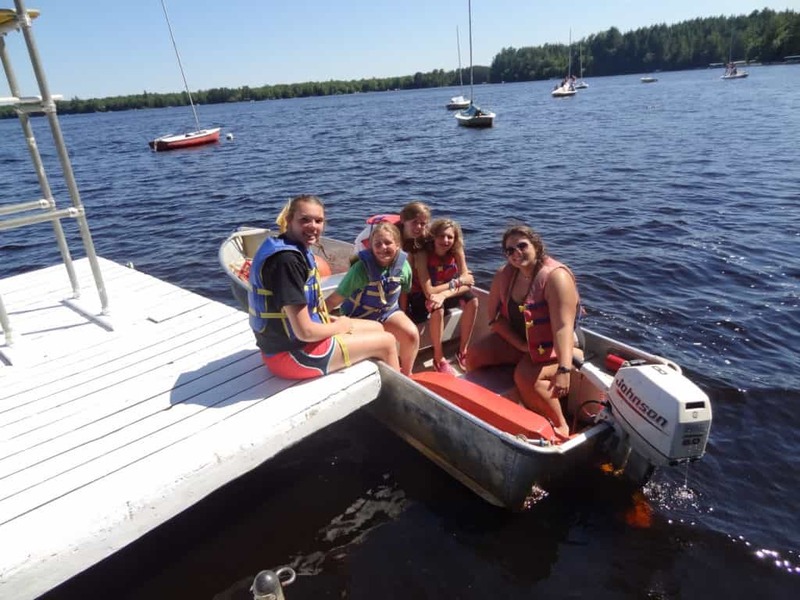 Campers are taught to put all the rigging equipment and parts away properly, and to work as a team to make sure the boats stay clean and are well cared-for. We are all responsible for maintaining the boats so they are ready for the next group to enjoy them as well. Wouldn’t it be nice if kids kept their bedroom at home in shipshape order, too? !